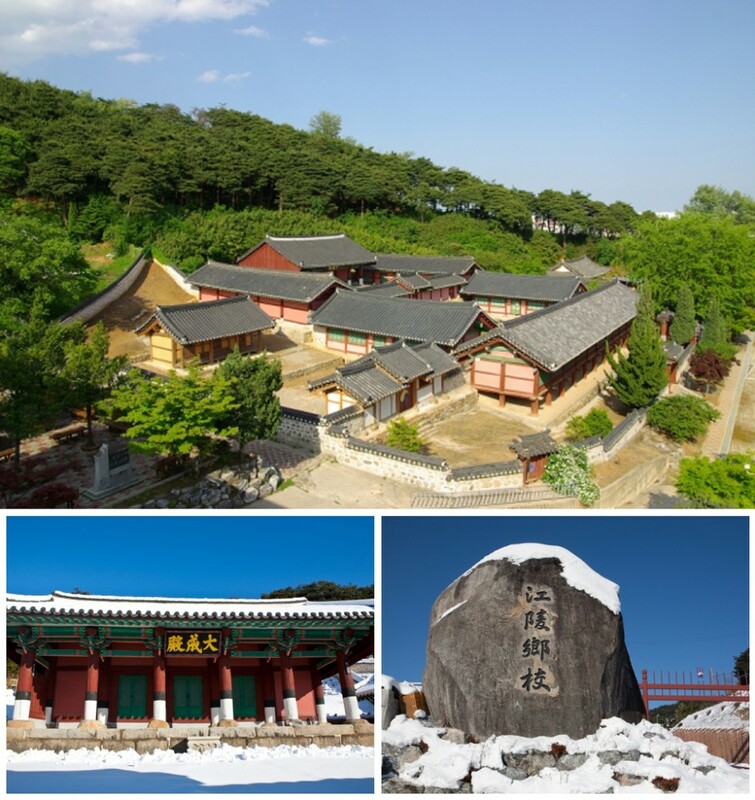 Hyanggyo is an educational institution in the Chosun Dynasty and is a place for sacrificing Confucian scholars. The Gangneung Tangible Cultural Property No. 99, Gangneung Hyanggyo, which is one of Korea's three major relics with Naju Hyanggyo and Jangsu Hyanggyo, is a Confucian architecture with perfect size and function. Since the founding of the Gangneung Zone in the 5th year of King Chongseon (1313) and the establishment of the Gangneung Kim Seungin in the present place, Hana-Buyeon, it was lost in the 11th year of the Joseon Dynasty (1411) ). After that, there were several repairs, and in the period of artificial reign (1623 ~ 1649), it greatly increased, and all of them had a grand scale of 70 booths. The building consists of Daehwangjeon (Treasure No. 214), which is a sideways space, and Myeonglyun-dong, a lecture hall, in the form of a transfer room (a lecture room in front and a lawn space behind it). At present, educational functions are lost, merely the functions of sacrifices are left, and cultural and academic values ​​are high because they retain their old scale and appearance.